They look more like lovable mutts you’d find frolicking in backyards rather than elite canines. 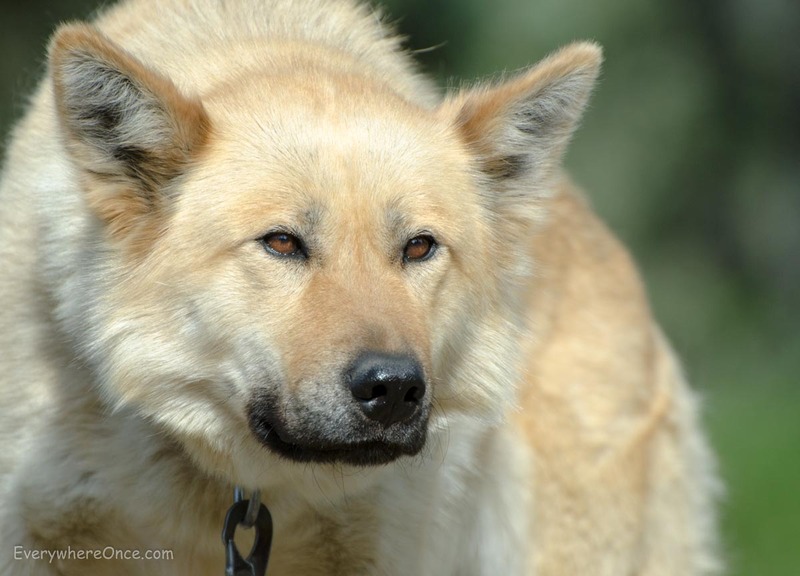 That’s because the dogs of Denali National Park weren’t bred for a particular look but for traits crucial to their unique role, like large paws, long legs, and double-thick coats to withstand sub-zero temperatures. Another important quality: a strong desire to run and pull. 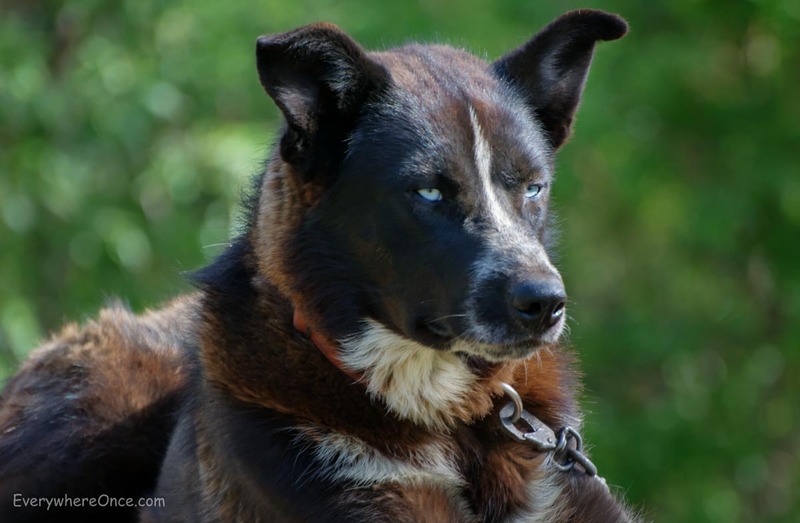 Denali is the only national park whose staff includes sled dogs, or Alaskan huskies. Furry, four-legged rangers of a sort, they play an important part in maintaining and protecting the park—patrolling acres of wilderness off limits to motorized vehicles, hauling supplies and humans such as wildlife researchers, and performing other important tasks. 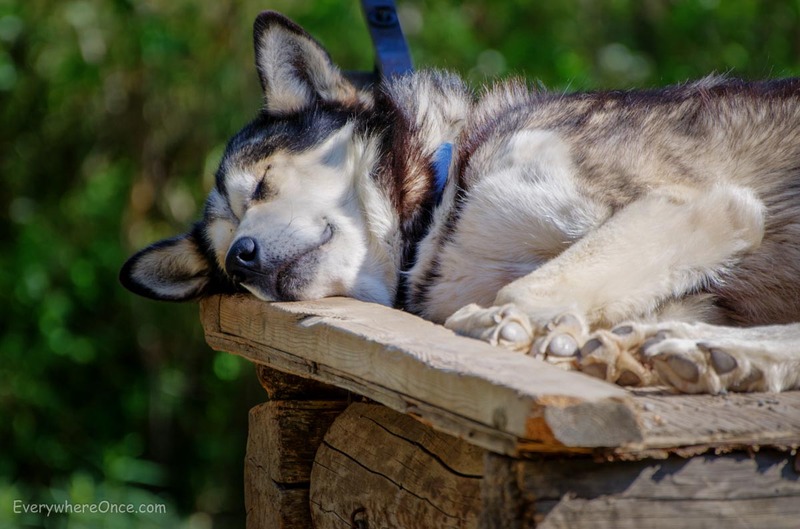 When we visited the kennels at Denali, it was summer, the canines’ much-deserved down time. Visitors are welcome to stop by and interact with the dogs, who were lounging around, having naps, and lapping up the attention and head scratches. 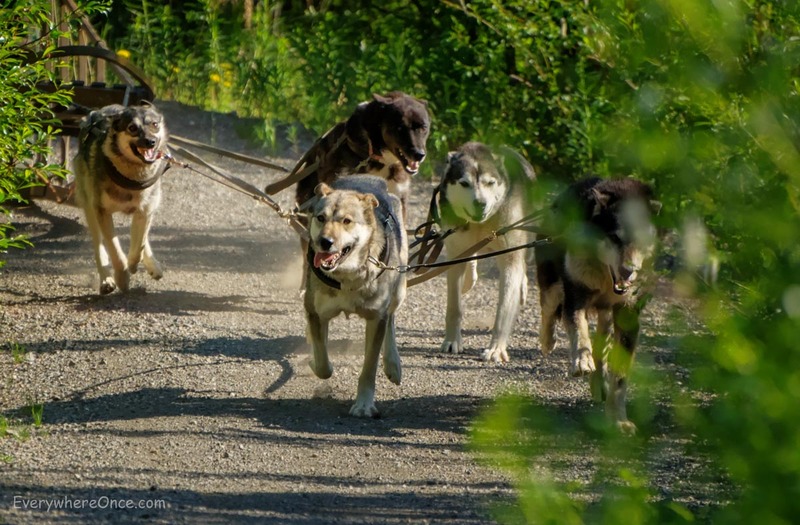 But their restless energy quickly sprang to the surface when a park ranger approached the kennels to select five dogs for a sled run demonstration. The canines knew what was afoot. Apparently a life of idle isn’t in their blood. They began barking, jumping, and wagging their tails, seemingly eager for a run. Watching the dogs in action, racing a sled around a dirt track with a ranger aboard to steer, their enthusiasm for the assignment was evident. In addition to seeing them at work, a ranger gave an entertaining talk about why a sled dog is better than a snow machine. Canines are environmentally friendly and significantly less expensive to fuel, but more importantly, they’re smart. While mushing during a snowstorm with limited visibility, a ranger wondered why his sled dogs suddenly stopped running. No matter what he tried, he couldn’t get them to budge. When he went out to investigate, he discovered the huskies had stopped just a few steps before a stretch of thin ice. Any further, and he and his canine team would have plunged into deathly water. I love the last photo…a much deserved rest? Brian & Shannon. My daughter & her husband were volunteer dog walkers this summer while they worked at McKinley Chalet Resorts. I remember the top dog… “LUCKY”. Can’t forget those blue eyes. And the bottom dog looks like he might be “Fin”, my son-in-law’s charge to walk. Yes, we too were captivated by the four footed “Rangers” at the Denali Kennels. Very cool. We didn’t even know you could volunteer to care for the pups. Thanks for that!